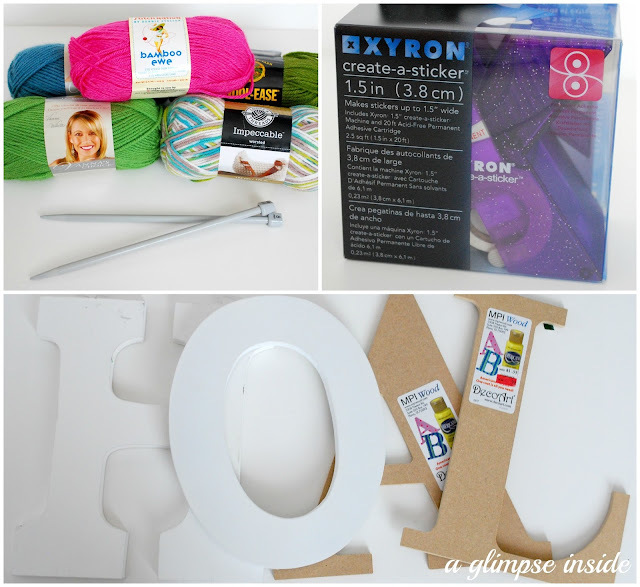 Are you ready for a super fun giveaway on this Monday morning? 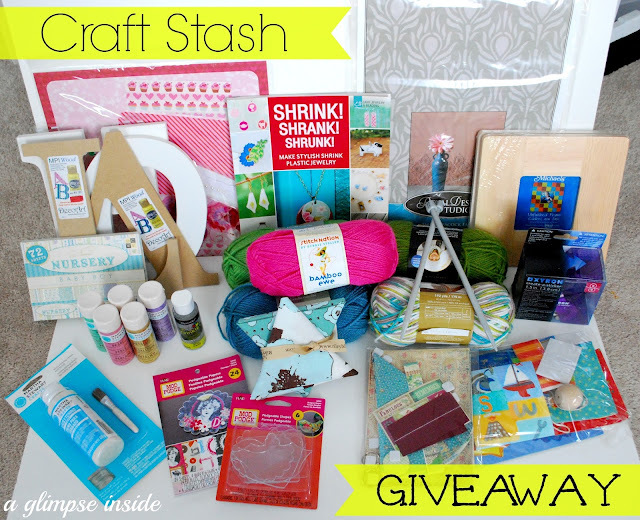 I have teamed up with 5 other bloggers and we each went through our crafting supply stash are are each giving away a box full of goodies! Run down of what is in my box. When you enter, my box isn't the only one you are entering to win. wow .. fabulous giveaway..I love to win the sticker maker..! I'd love the fabric - it's beautiful! I would love to win ! 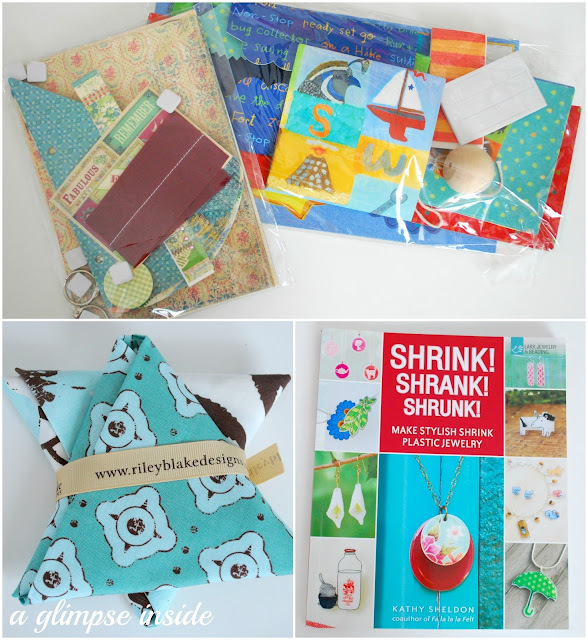 So many goodies that I could put to good use ! Great giveaway ! I would love to win. I could put these goodies to use! I would be excited to win the Martha Stewart Glass Etching Cream. xiron stencil maker, scrapbook paper, peacock stencil... but I love all of them, most of them aren't available in Italy... please pick meeeeee, fingers crossed! Goodness.. seriously hard to choose.. would be pleased with any.. however if i had to choose i would pick the one from 'the scrap shoppe"
What a great giveaway!! Such fun treasures. I would love to have the yarn! WOW.....great selection, alot of fun things to make. Thanks! The Riley Blake fabric is precious! 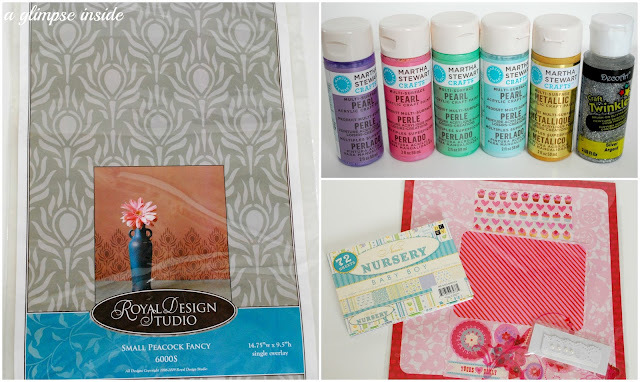 I love the Riley Blake fabric and the Royal Design Studio stencil the most but I'd be tickled to have just about anything in your craft box! What a wonderful giveaway! 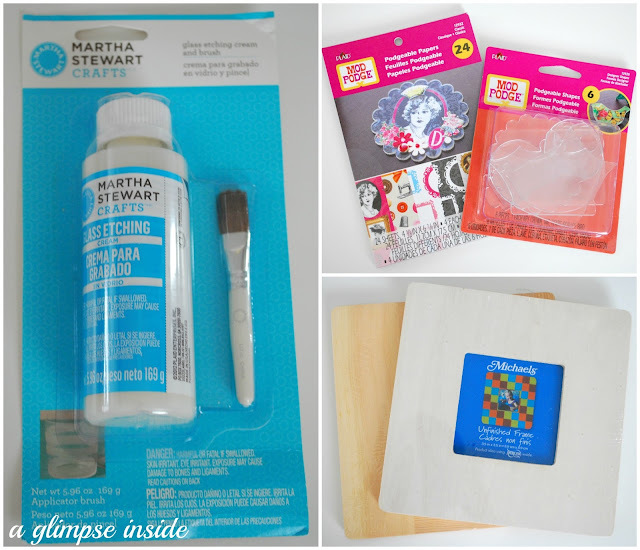 I have been wanting to try the glass etching cream! Wow! What a bunch of great stuff! Allison, such crafty goodness! Thanks for the chance! The Xyron! So cool! And, of course, Martha Stewart products always rock my socks! I would love the pearl paint! Eeeek! I want ALL THE THINGS! Love it! Great giveaway....the yarn and the fabric!!! Thanks for the chance! Sorry for the second comment....I wanted to mention what an awesome idea this is! I might just have to go through my stash and do the same thing! Thanks for the wonderful idea! The glass etching would be first on my list. Thanks for the chance. I love me some stencils! That peacock one is presh! How to pick just one!?! The Xyron! The yarn (feeds the yarn harlot in me!) I've never done glass etching so that has tickled my creative fancy! Thank you so much for the opportunity!